Round neck top by MAERZ MUENCHEN with 1/2-length sleeves. 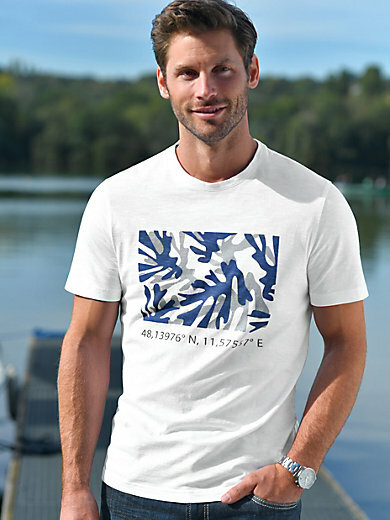 Made from soft, top-quality jersey in 100% cotton with chic leaf print at the front. The round neck top is machine washable.